Butter Journal celebrates the world’s favorite spread, and will serve as a guide to the most sumptuous and unique butter dishes restaurants have to offer. Butter, in short, is newly ascendant. The New York Times, NPR and Food & Wine have all featured stories recently on the popularity of butter. 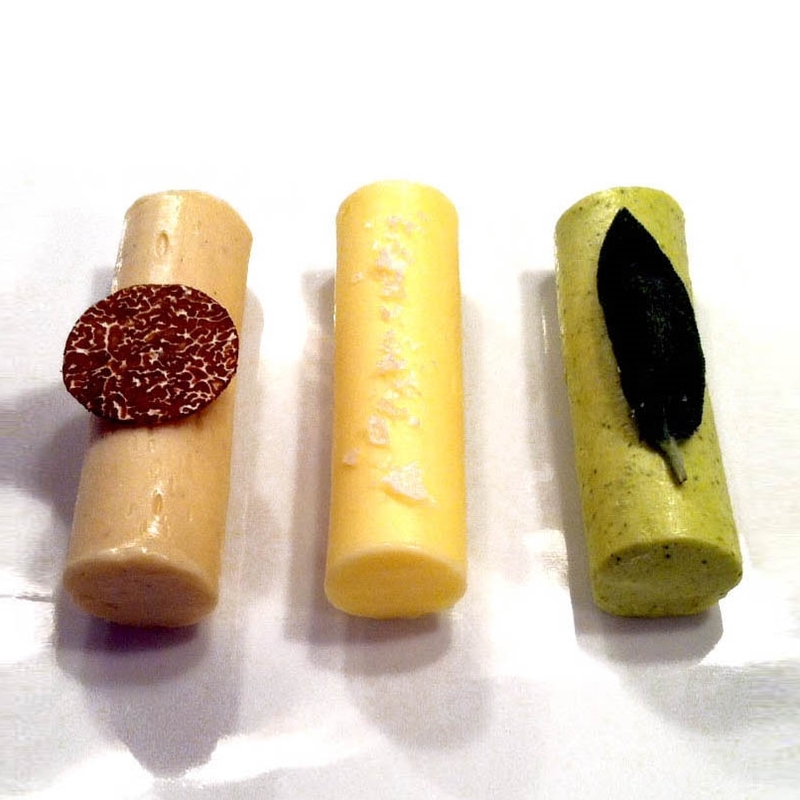 Chefs are taking notice, and leading the way to butter’s revitalization. In recent years, the world’s finest chefs have been paying unprecedented attention to the humblest of foods. In their hands, butter — simple, delicious butter — has moved out of the plastic ramekin and into the spotlight. Flavored, sculpted or adorned with flowers, these butters are both works of art and tantalizing previews to the courses to come. See what chefs have done with their butter, read what they have to say, and learn the techniques, become a butter aficionado. Hi, my name is Alisa and I am a butter enthusiast, graphic designer, and jewelry designer. I never gave up butter when margarine was all the rage. For me, freshly baked bread and quality butter remains one of the best parts of dining out. Normally I dive in as soon as the breadbasket hits the table. But lately I’ve been taking pause — taking time to appreciate the design of the presentation, the sculptural aspects of the butter. 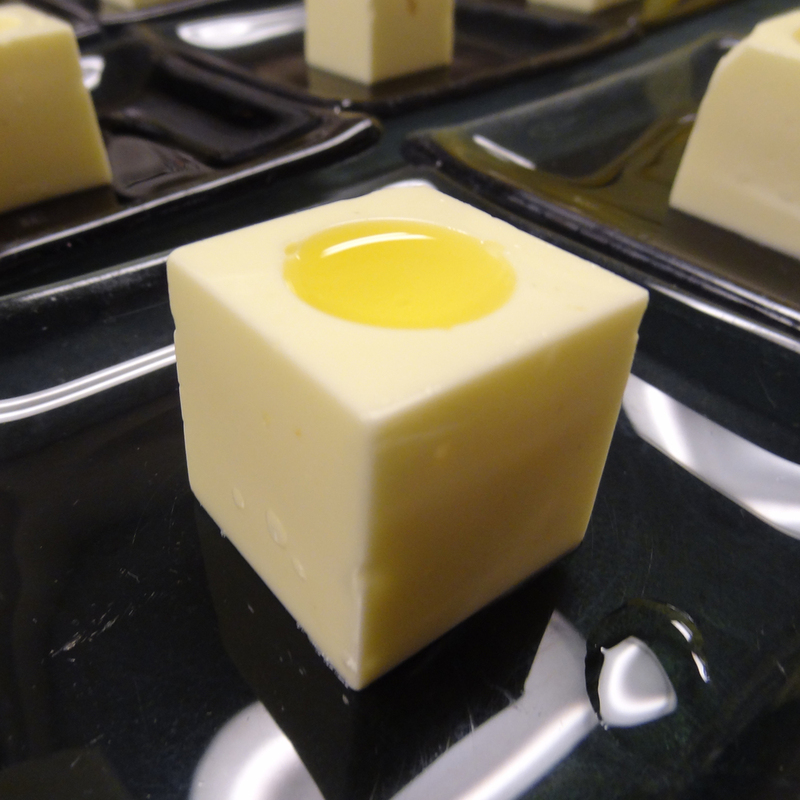 I realize that the chefs and I have something in common: a deep love for butter. I collect restaurant butter photos and everywhere I look, I find chefs who are treating butter like it’s something worthy of time, effort and detail. 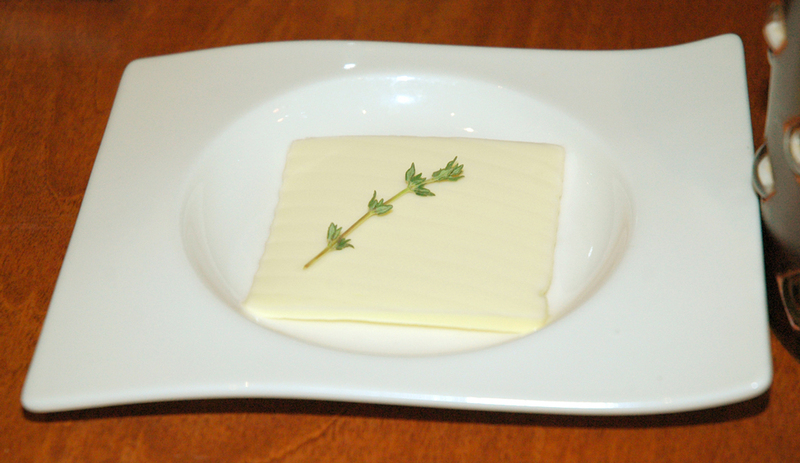 The idea for a butter blog started when I dined at Scott Howard in San Francisco. The waiters brought out the bread and butter and the butter display was so pretty that I took a photo. I was amazed that a chef would put so much effort into the design of something so basic as a pat of butter. I shouldn't have been surprised, as chefs are artists. Their attention to detail goes far beyond the taste of the meal. Deciding to search for creative butter displays, I contacted over 750 restaurants, pored over thousands of websites, and looked at countless butter images. Chefs enthusiastically shared stories, photos and recipes. I was thrilled with the level of originality. It didn't seem fair to keep it all to myself, and that was how Butter Journal was born. Thank you for visiting Butter Journal! I'd love to hear from you. If you know of an interesting butter display, share it with me!